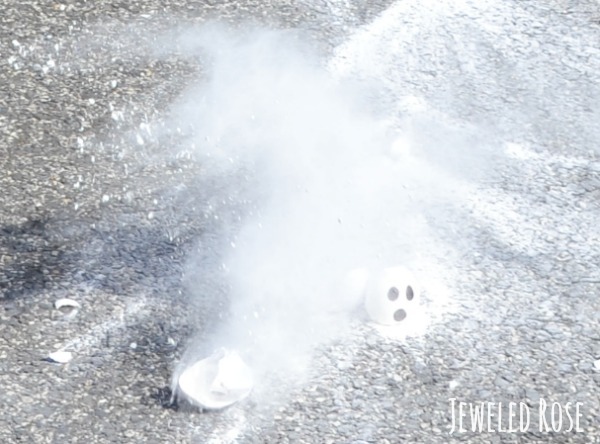 We recently put a fun spin on traditional smoke bombs and made colorful sidewalk smoke bombs. 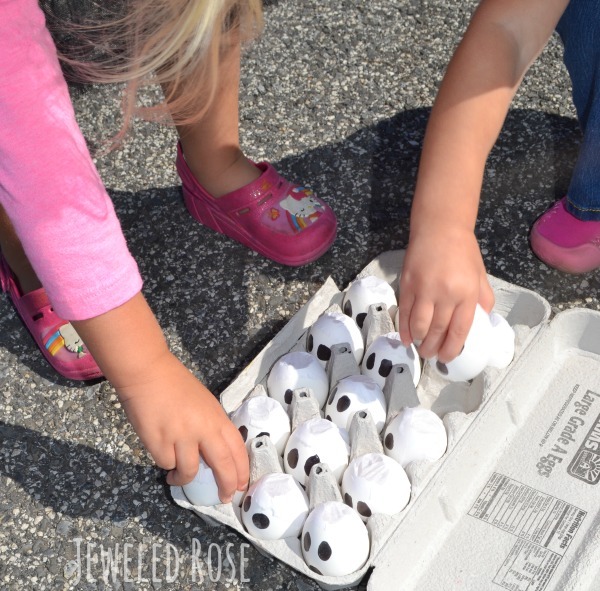 Rosie and Jewel had so much fun with those that I was inspired to make another batch of smoke bombs for them, this time with a fun Halloween twist. 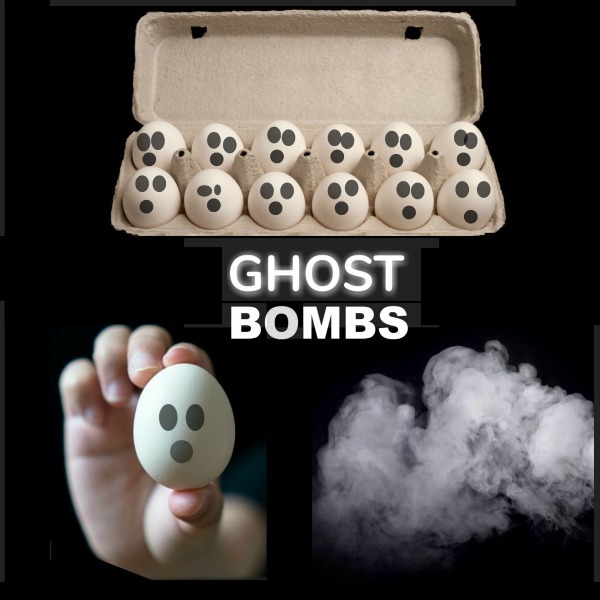 These smoking ghost bombs are easy to make, and you only need a few materials. 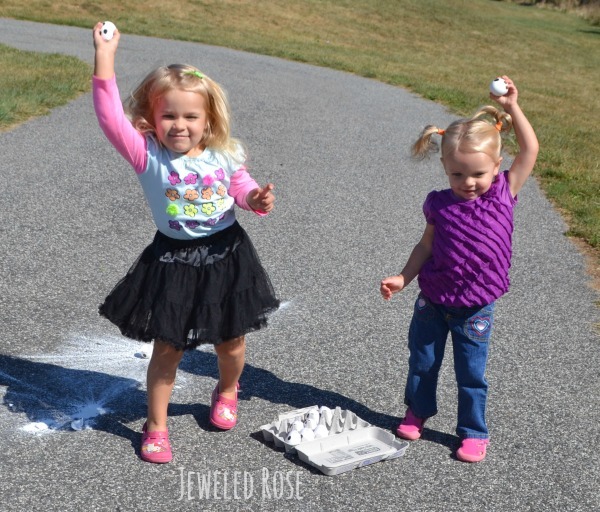 My girls had so much fun with their boo bombs that we have already made more- are you ready to see how? 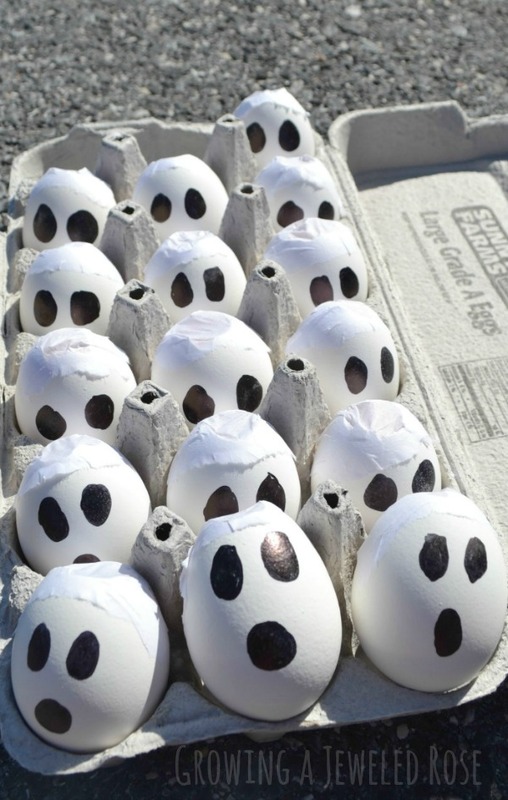 Begin by hallowing out the desired amount of eggshells. A full tutorial on how to do that can be found here. I saved eggshells over the course of the week as I made breakfast by cracking them in this way. Once you have the desired amount of emptied shells rinse them with antibacterial soap and water, and then allow them to dry. 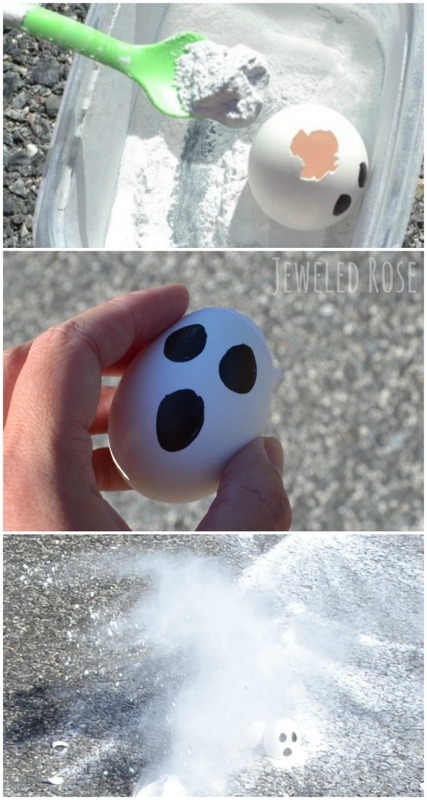 Once dry use a marker to draw ghost faces on the shells. 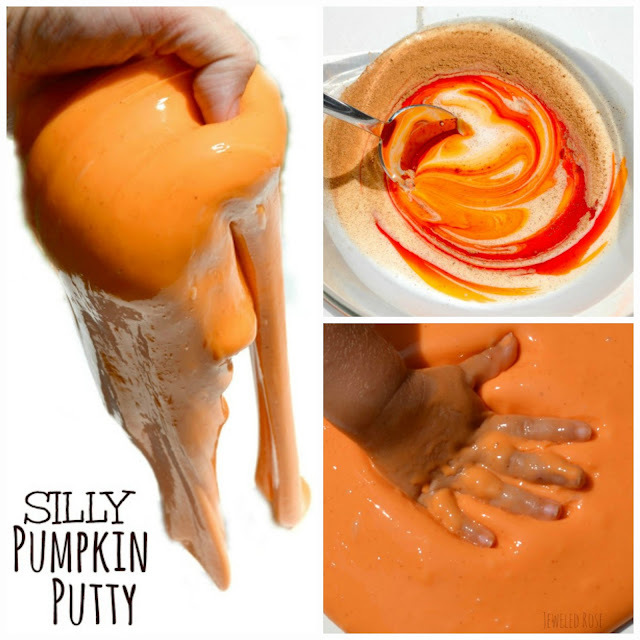 Then, fill them with corn starch or baby powder depending on what you have on hand. 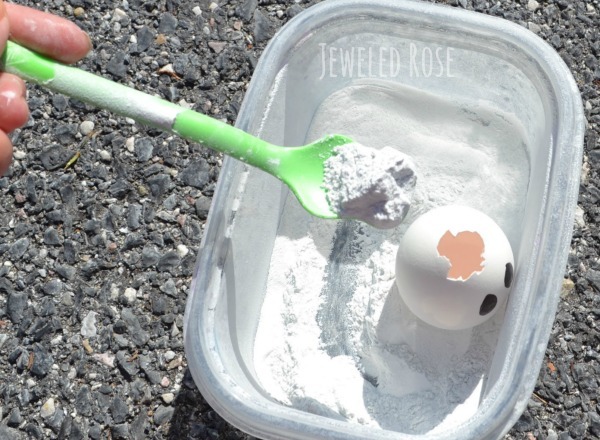 How much powder you put into the eggs is really up to you. We filled some half way and some all the way to create different ghostly effects when thrown. 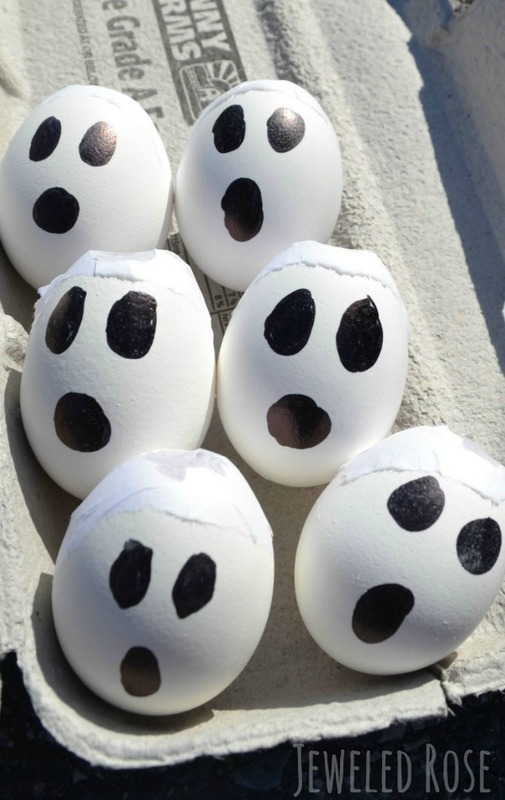 Once the eggs are filled carefully seal the tops by placing tissue paper over the openings. Use a glue stick to cover one side of a tissue paper piece and then gently press it over the egg opening glue-side down. That's it! Then it is time to PLAY! My girls had a blast with their smoking ghost bombs! 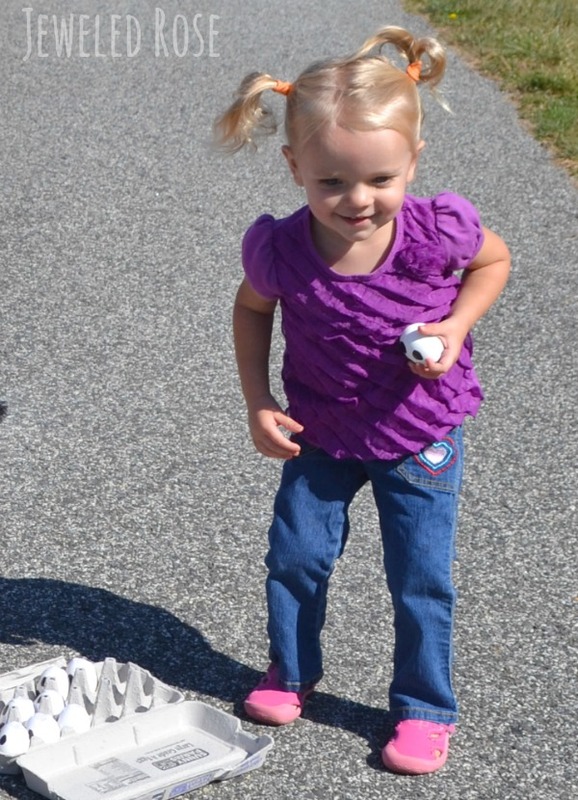 They loved throwing the eggs! 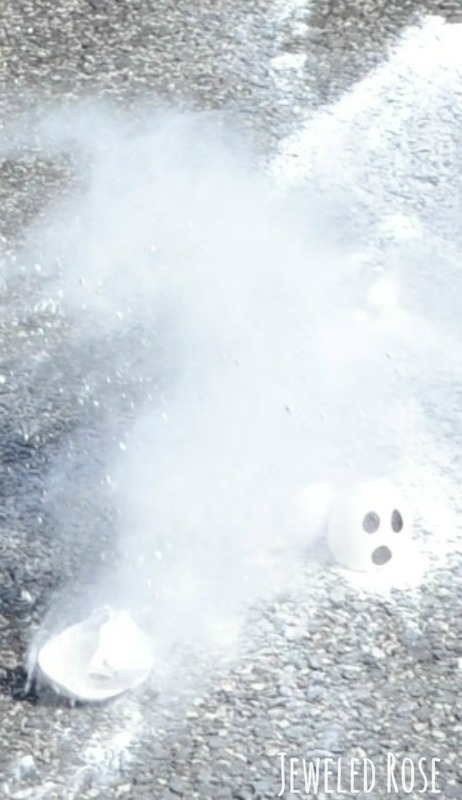 My girls thought this was the coolest thing ever and wanted to make ghost smoke again and again! I had Rosie and Jewel toss the smoke bombs out and not at their feet. That way they could enjoy the ghost smoke show without breathing it in. 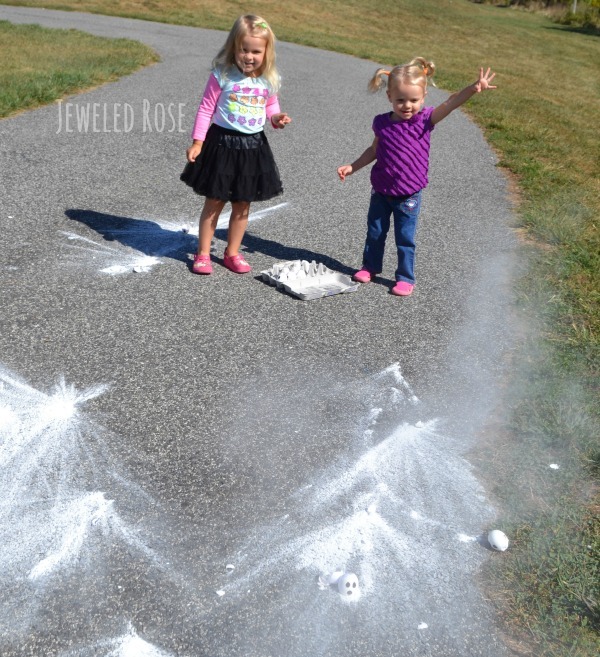 If you try this activity I recommend your children do the same, as it is not safe to inhale large amounts of powder. 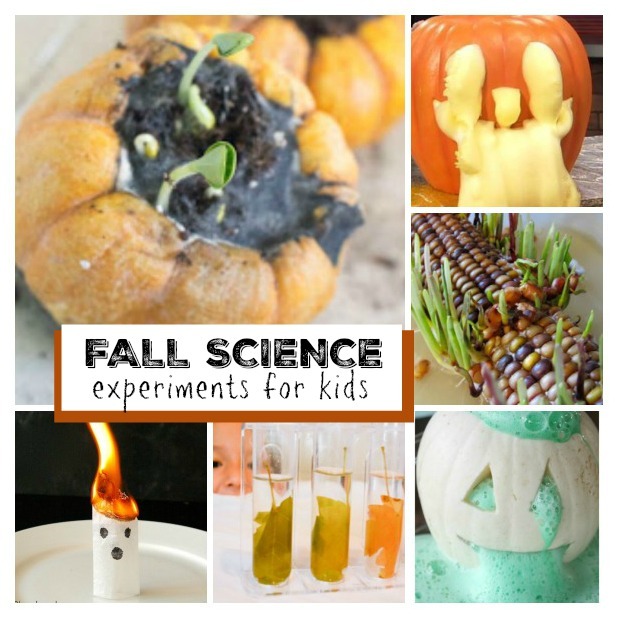 A fun Halloween activity for kids!